According to the latest report on 19 Nov 2015, 2 luxury condo units in Singapore were being put up for liquidator’s sale at a recent auction by Knight Frank. One of the units was a 3-bedroom (1,701 sqft) residential unit on the 12th floor at Helios Residences at Cairnhill Circle. This 140-unit luxury development consists of 2 towers (of 20-storey and 19-storey) standing tall on elevated ground. It was developed by prestigious property developer Wing Tai Holdings and was completed in year 2011. Based on transaction history from the URA, there were no prior caveats lodge for this particular unit and doesn’t seem to have changed hands before. However, looking at the recent transactions of units with the similar size, one of them on the 18th floor (in the same tower) was transacted at S$4.88 million or S$2,689 psf in October 2014. Under the liquidator’s sale, the starting price of the subject unit was S$4 million (or S$2,352 psf), but did not receive any bids. Thus the property has been withdrawn from sale. It was also noted that the unit will be sold with tenancy (a monthly rental of S$8,000 till April 2016), a gross yield of approximately 2.4%. Back in 2007, Helios Residences was a new launch selling from an estimated psf of S$2,800 and most of the units were sold at above the S$3,000 psf mark. 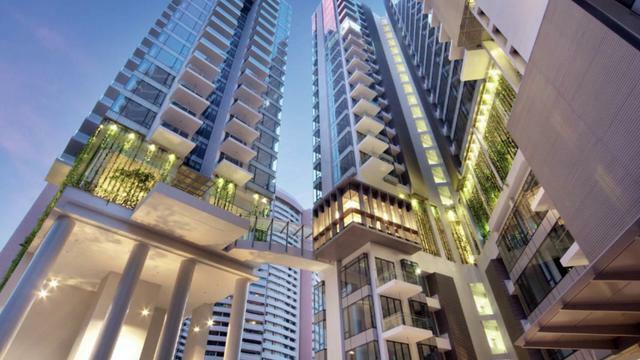 Being the year when property price index in Singapore was at its peak, a 3-bedroom unit (1,668 sqft) at Helios Residences was sold at $6.63 million (or S$3,976) in the month of January in 2013. When compared to the most recent transaction, a 1,668 sqft unit was sold for only S$4.2 million (or S$2,517 psf) in October 2014. This is equivalent to a massive 36.6% drop in price. Therefore, at only S$4 million for the subject unit of 1,701 sqft, it does seem like a lucrative deal for property buyers in the high-end property segment. On top of that, the unit’s layout and finishing have proven to be the added bonus for the potential purchaser. The key difference between a liquidator’s sale and a mortgagee sale is that a liquidator’s sale is only triggered when a company winds up and all its assets (which includes properties) are seized and sold off in order to pay off their debts. As for a mortgagee sale, it refers to the defaulting of mortgage loan repayments as individual borrower, and the bank will repossess the subject property and eventually put it up for sale. It was also mentioned by Knight Frank that if the economic outlook continues to be gloomy, companies or maybe even individual owners will be in a struggle to hold on to their assets. Thus, the market should be seeing an uptrend in the number of liquidator and mortgagee sale. This will certainly impact a couple of existing newly completed developments as well in the high-end residential segment such as Gramercy Park by City Developments Ltd, TwentyOne Angullia Park etc, where developers are struggling to sell off their units.